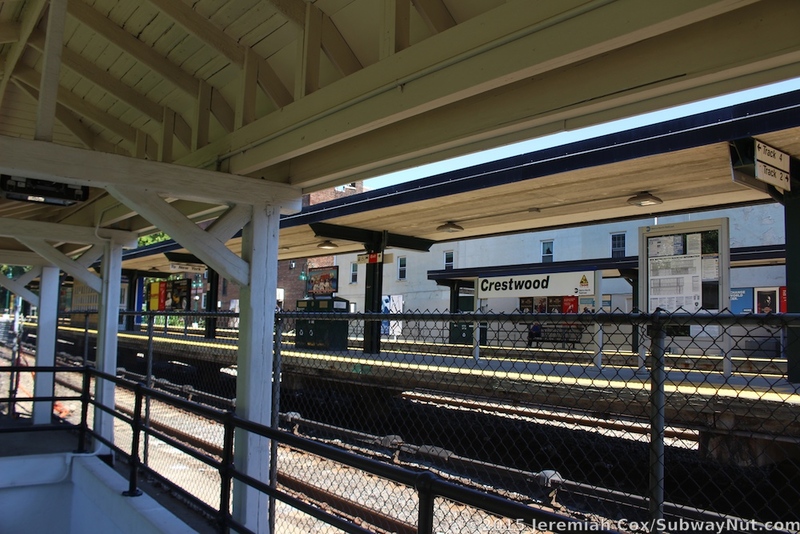 Crestwood is the most northern station on the Harlem Line with 3 tracks. 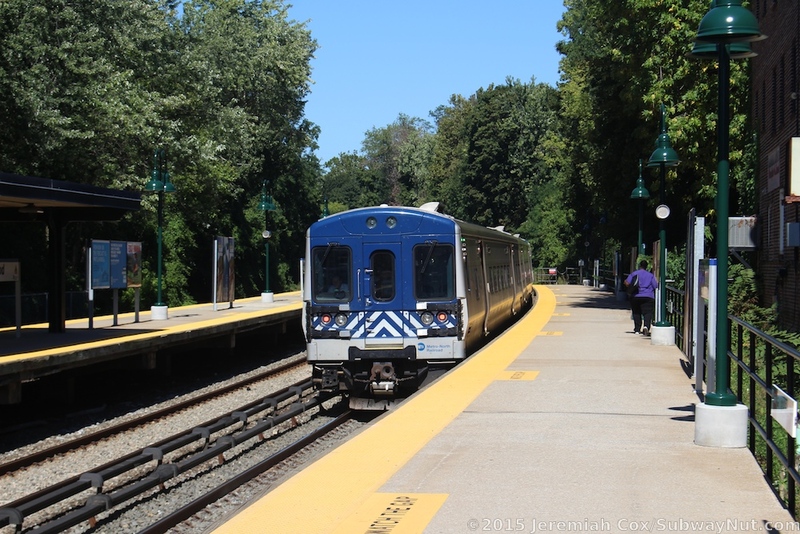 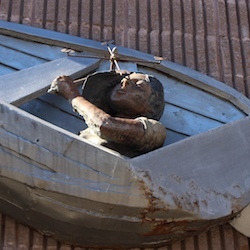 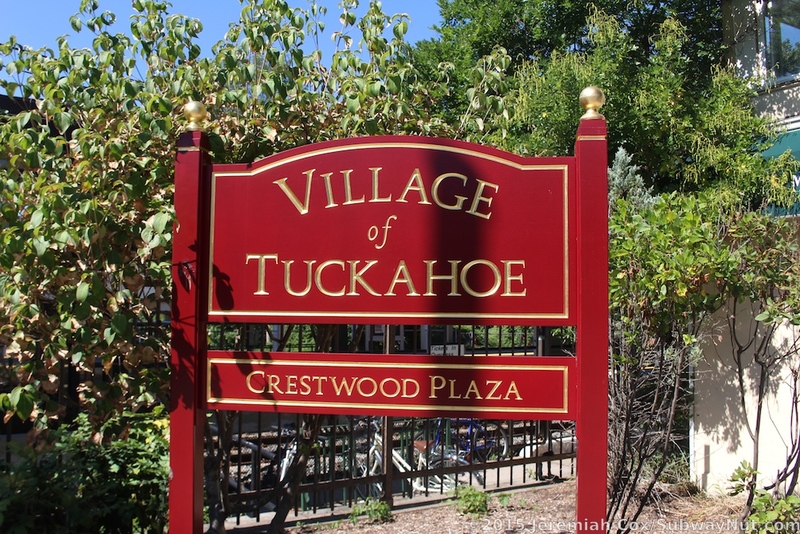 The station is also located in the Village of Tuckahoe at Crestwood Square. 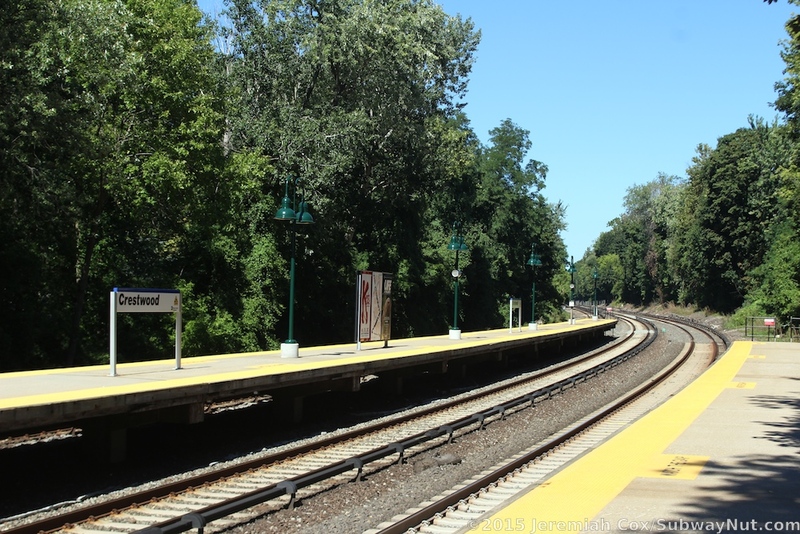 There is a side platform for Track 1 normally for Wassaic-bound trains and an island platform for Grand Central-bound trains between tracks 2 and 4. 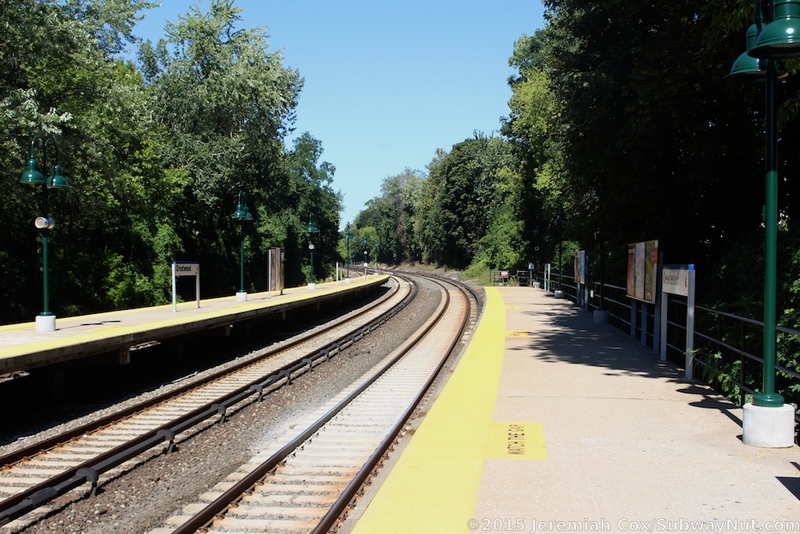 The station was rebuilt in 1989 to its current configuration where all tracks platform. 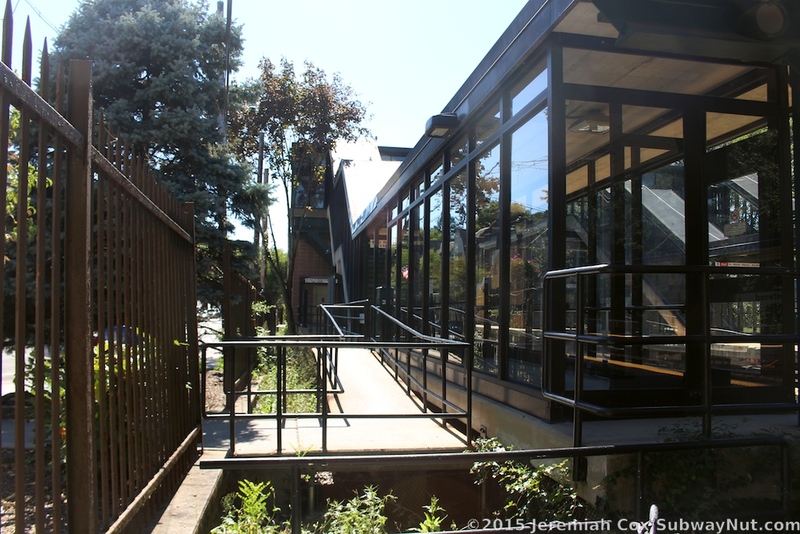 Unlike the other stations in this rebuild contract, like Fleetwood, the station received full ADA access. 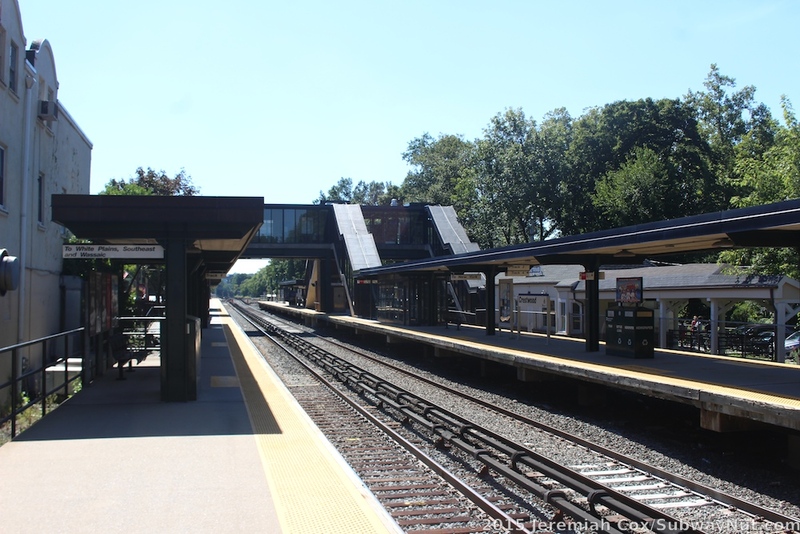 The enclosed overpass has three elevators, one down to the side platform, one to the island platform and one to the small parking lot nestled along the Bronx River. 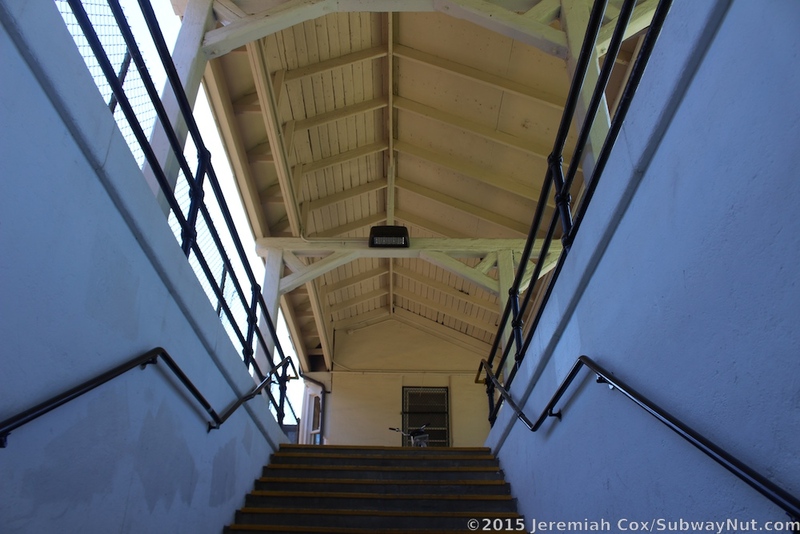 The enclosed overpass also has the remains of an original ticket office, TVMs and 2 staircases down to the island platform and one each down to the side platform and parking lot. 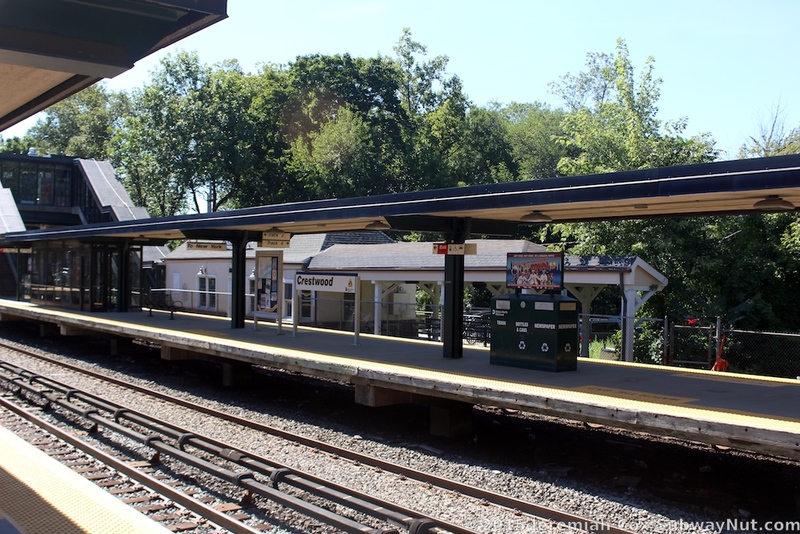 The island platform is canopied for nearly half its length with a flat roof covering multiple enclosed by windscreens and doors waiting areas. 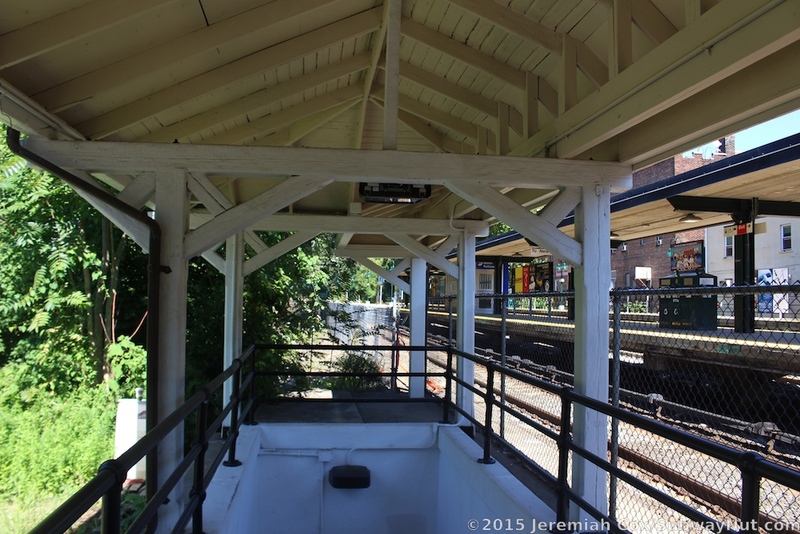 The side platform is similarly covered. 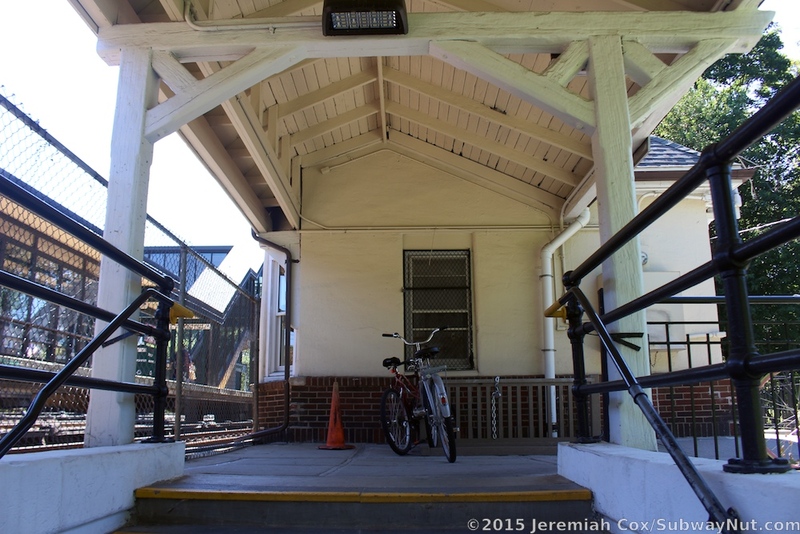 The small parking lot, along the former New York-bound platform is the station's small and closed station house. 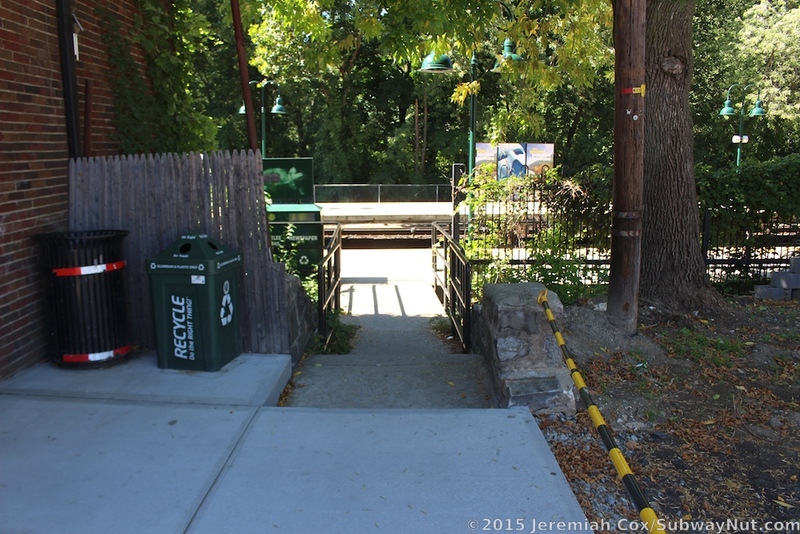 This single story white building was built in the early 1900s. 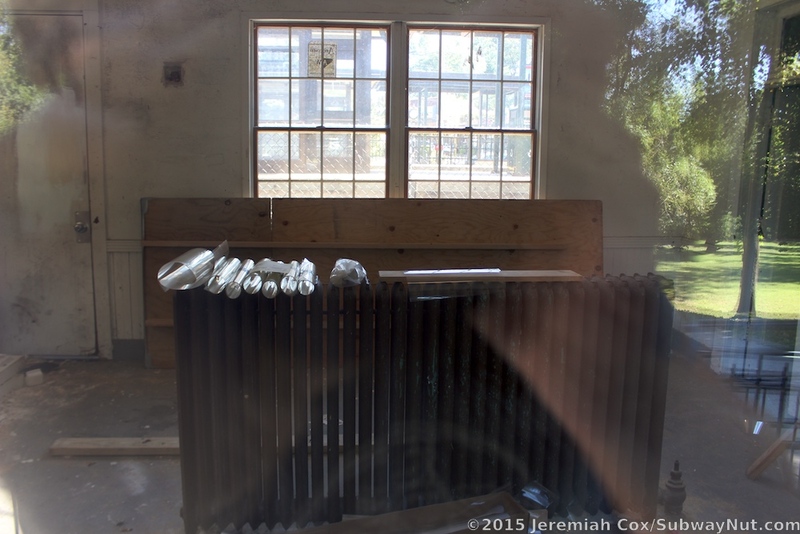 It looks like a mess through the small windows, with a central waiting area with a radiator in the middle of it. 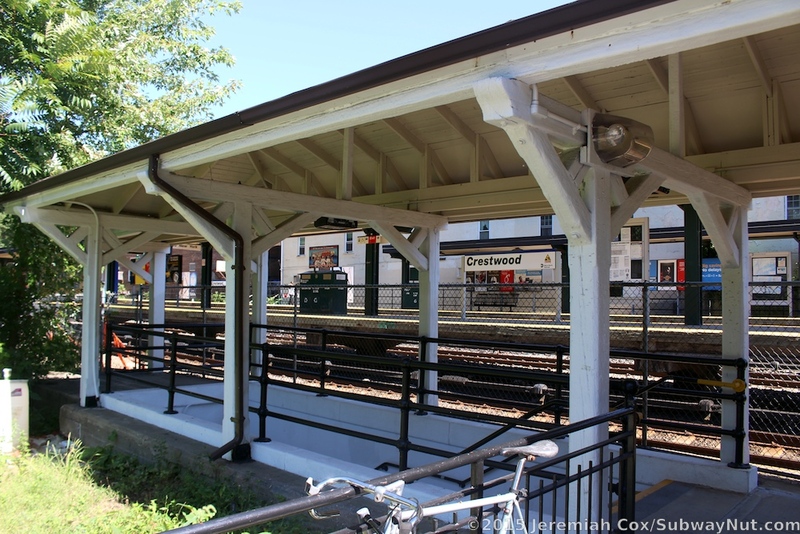 A small wooden porch is attached to this waiting area and covers the staircase down to the station's original (built in 1910) pedestrian tunnel. 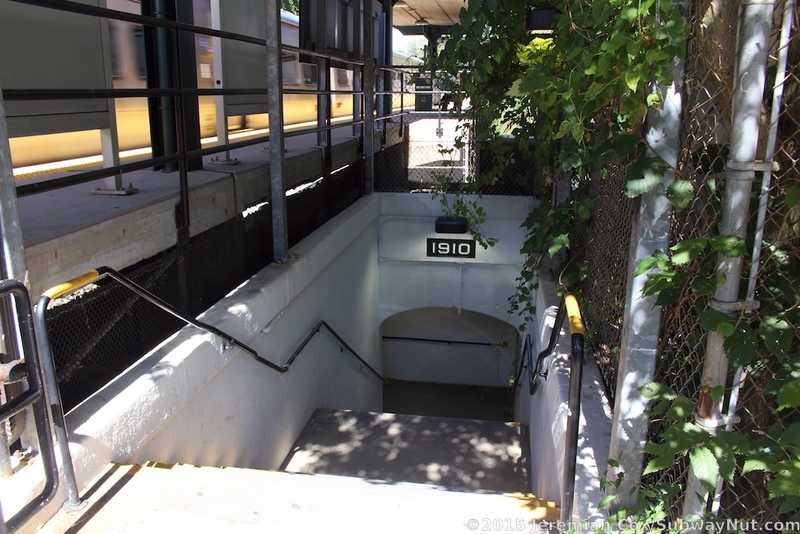 This tunnel has white walls and leads to a staircase at street level along the side platform. 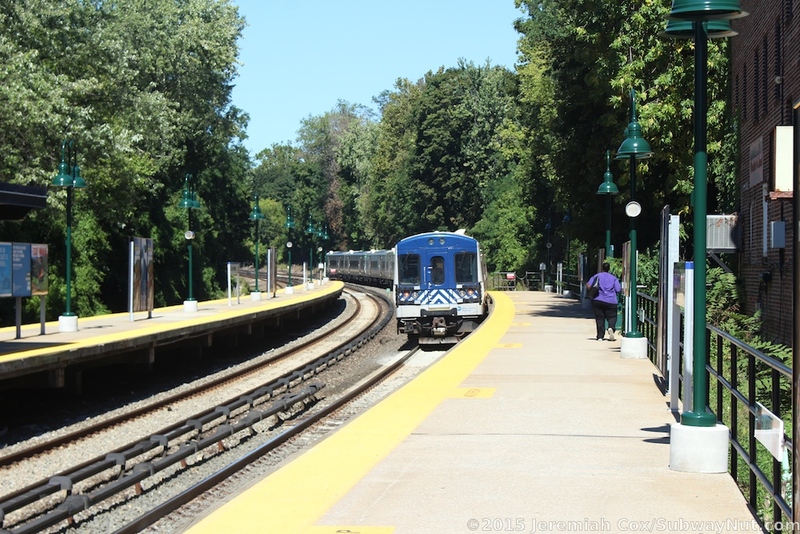 The island platform was skipped with no new staircase drilled into the tunnel. 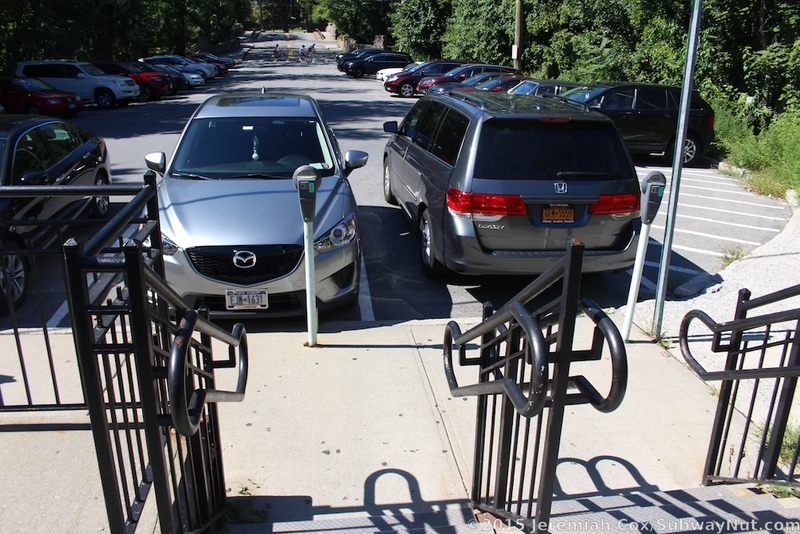 The side platform provides direct access to Crestwood Plaza with a ramp and staircase down to it. 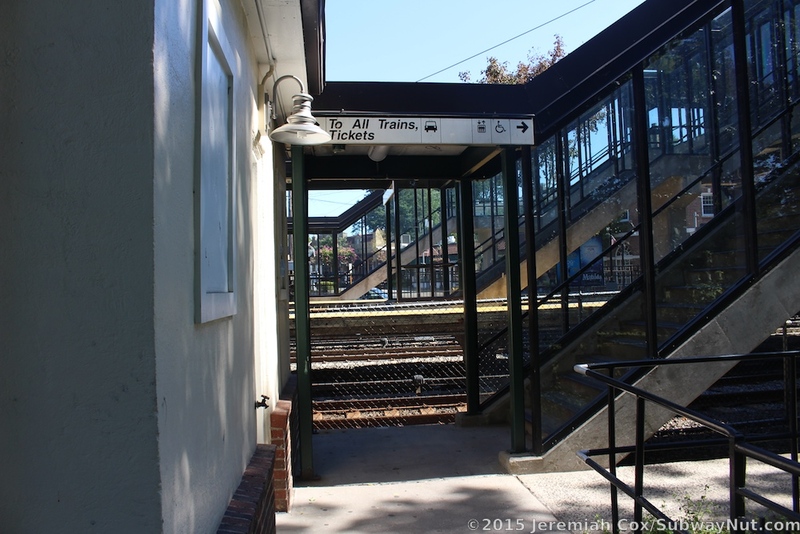 There are two more platform entrances. 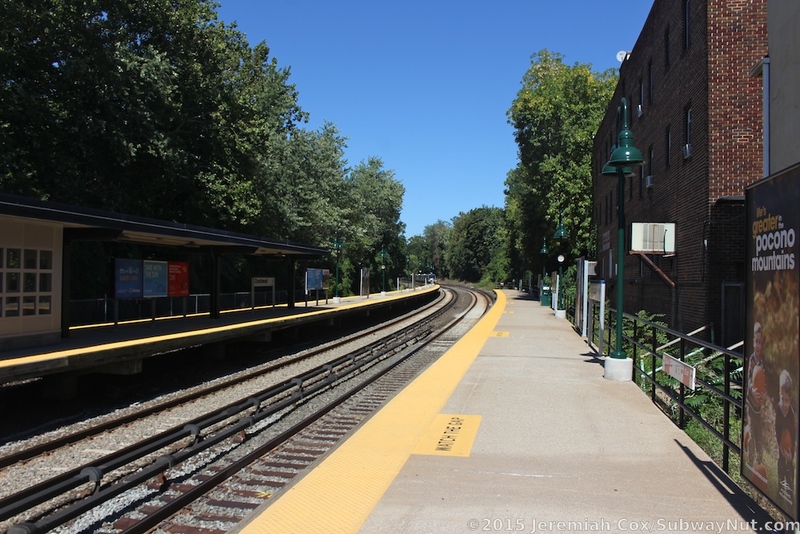 One near the southern end of the platform is a short flat walkway to Columbus Avenue across from Dante Avenue Ramp. 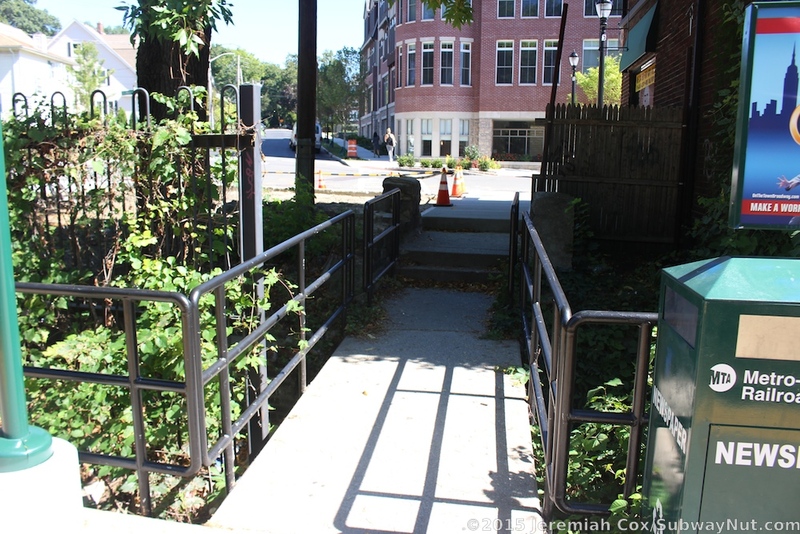 A short staircase leads from behind buildings near the northern end of the platform from Columbus Avenue across from the end of Lincoln Avenue.